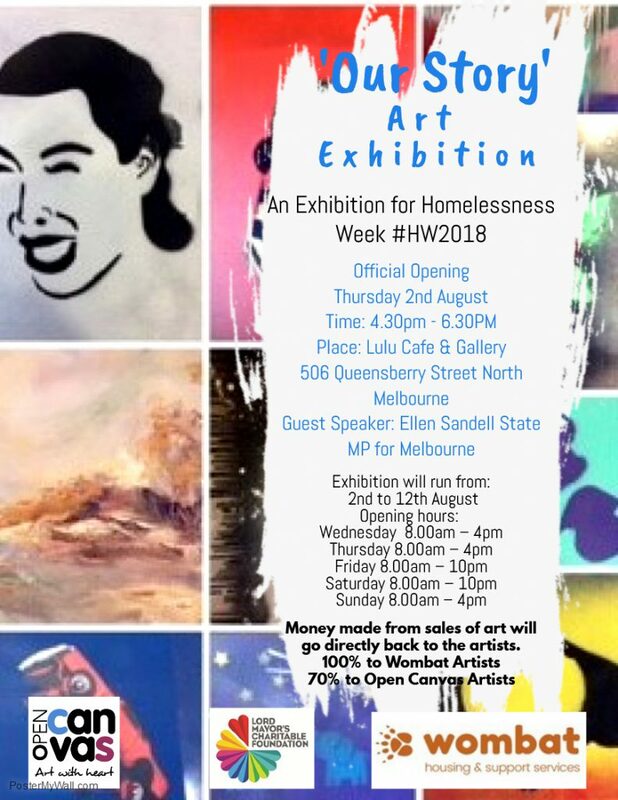 Wombat Housing and Support services is very excited to present a new Art Exhibition as part of Homelessness Week (6-8th of August 2018). 15 artists who have experienced or are experiencing homelessness, will showcase their art, putting a human face to the increasing homelessness crisis. The Our Story exhibition is presented by Wombat Housing and Support Services, in collaboration with Lulu Café and Gallery in North Melbourne, and social enterprise Open Canvas. Our Story – Lulu Café and Gallery: 506 Queensberry Street, North Melbourne. 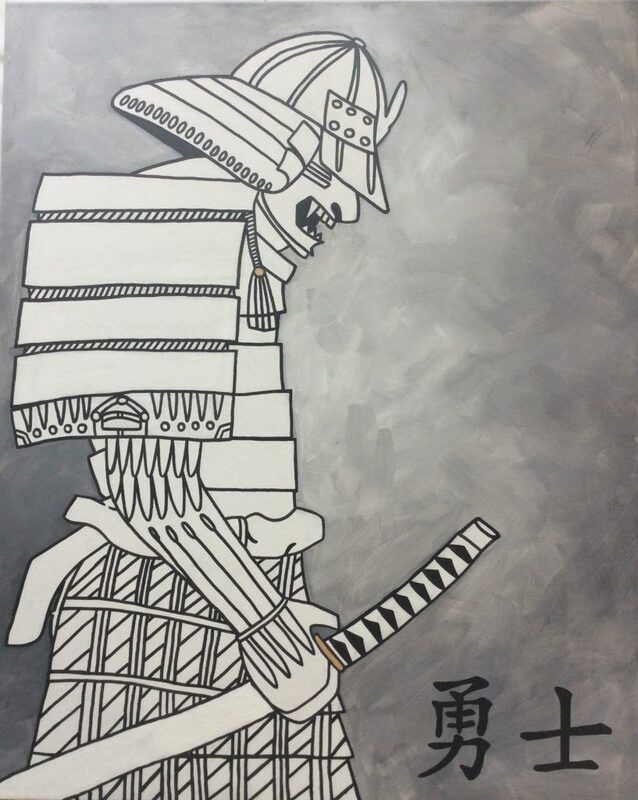 The exhibition will run from 2 to 12 August, open from Wednesday to Sunday. You can download the press release Wombat-Exhibition-Homelessness-Week.pdf. We acknowledge that we are operating on country for which the Kulin Nation People and their Ancestors have been custodians for thousands of years. We acknowledge and pay our respects to the Kulin Nation People and to Past and Present Elders.